How are you all? Who's excited for Christmas? What are your plans? I'm planning to go Winterwonder Land this week! I am really excited. 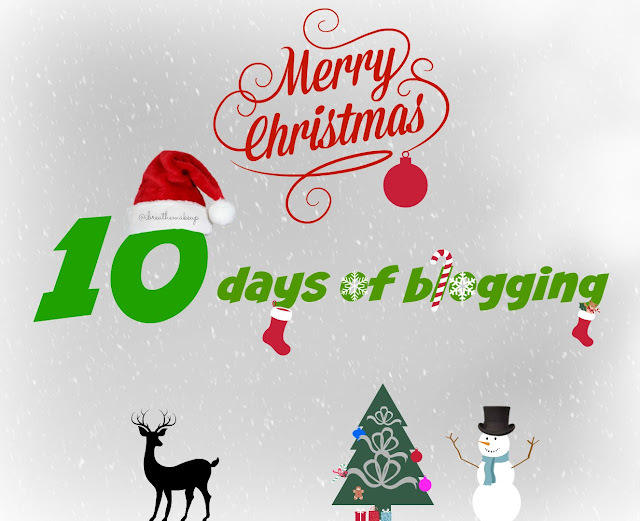 Today I start 10 days of blogging! I hope you enjoy it. 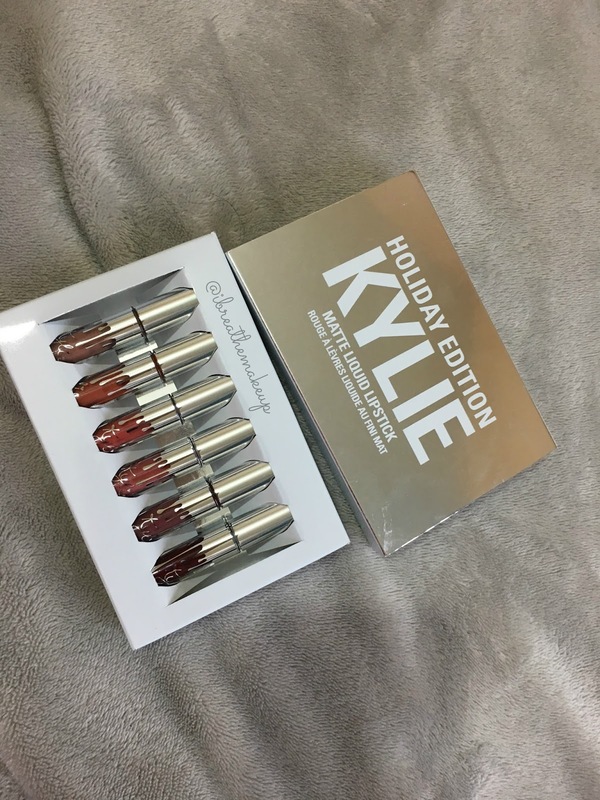 I ordered the Mini liquid lipsticks and the Kyshadow palette from the holiday collection. 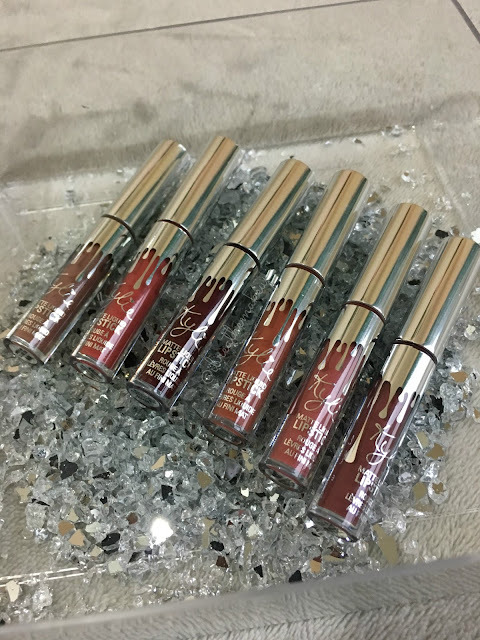 I prefer to order the mini liquid lipsticks because it's better value for money and I can try different colours. The only disadvantage about this is I don't get to try a lip liner, I have to purchase it by itself. I've been dying to try Love Bite and Ginger for a while now, I'm so glad I didn't buy it because this set includes it. I do like Moon as well. 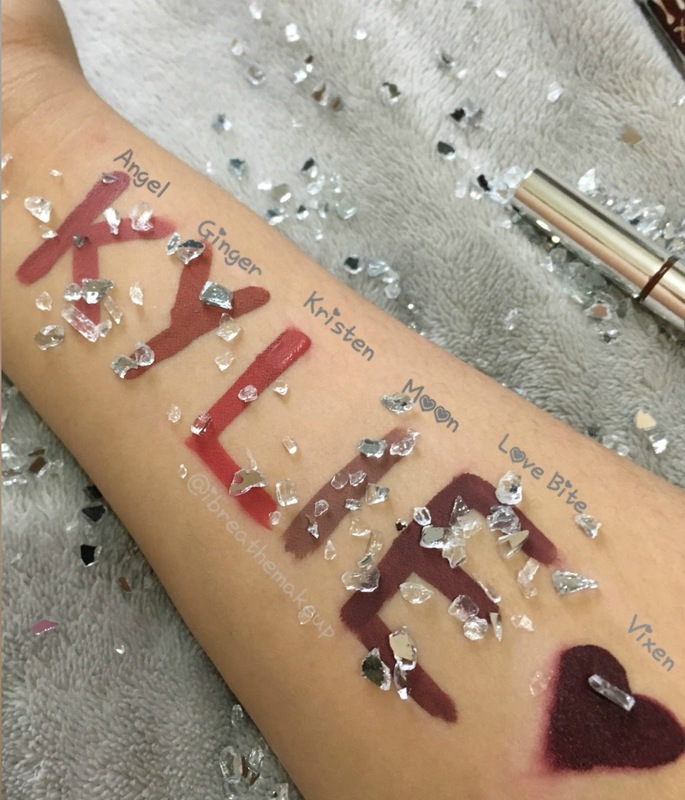 I wanted to swatch differently so I thought I might as well spell out Kylies name seen as it is her cosmetic line. I've got some dupes as well for some of the colours. I am going to try and purchase some of the kits to find dupes myself what do you guys think? Shall I or not? 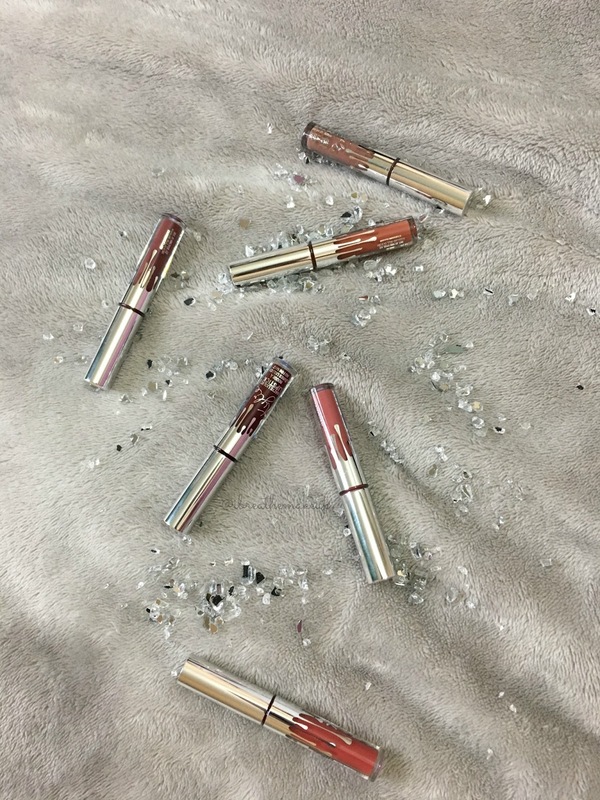 I really enjoyed taking pictures of the liquid lipsticks because of the Crystals. 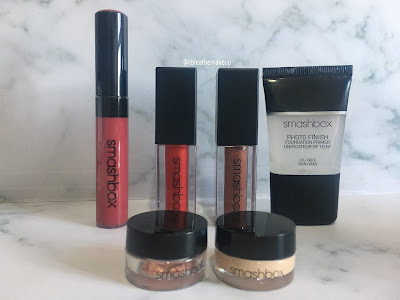 I have to thank PhosBeauty for that. Definitely, follow her on Instagram! Her Pictures are amazing and her Skincare routines are amazing. 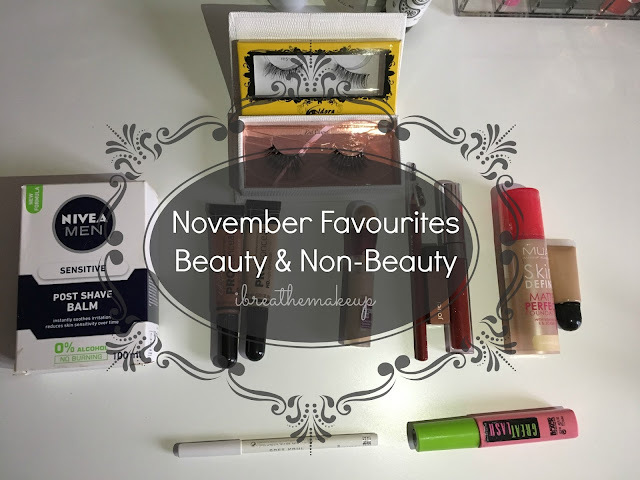 If you have not checked out my November Favourites click here or the picture.